Without new materials with special luminescent and magnetic properties or a particular electrical conductivity, many of our modern technologies would not work. Thanks to specific structures on the nano scale, they provide the necessary lighting in LEDs, laptop displays or mobile phones, increase energy storage density in batteries, or enable more sensitive sensors. Professor Wolfgang Bentsch welcomed the 40 participants from Brazil and all over Germany. Professor Hermi Felinto de Brito from the University of São Paulo opened the session with a presentation on the development of luminescent materials for LEDs and energy-saving lights. 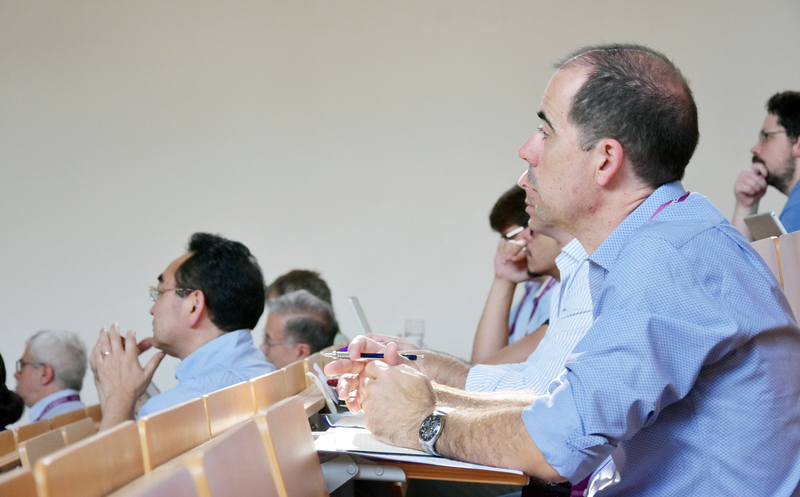 Which mechanisms occur during the formation of these materials, and how their manufacturing processes can be further improved, are being discussed from yesterday (31 July) until Thursday (2 August) by around 40 scientists from Brazil and the Germany at Kiel University (CAU). Researchers from the fields of chemistry, physics and engineering sciences are participating in the interdisciplinary conference. In addition to scientific exchanges, the aim is particularly also to establish international research cooperation. An important part of this is the involvement of early career researchers. "Our technical devices are constantly becoming smaller and more powerful. For this we need the right materials," said Dr Huayna Terraschke from the Institute of Inorganic Chemistry. 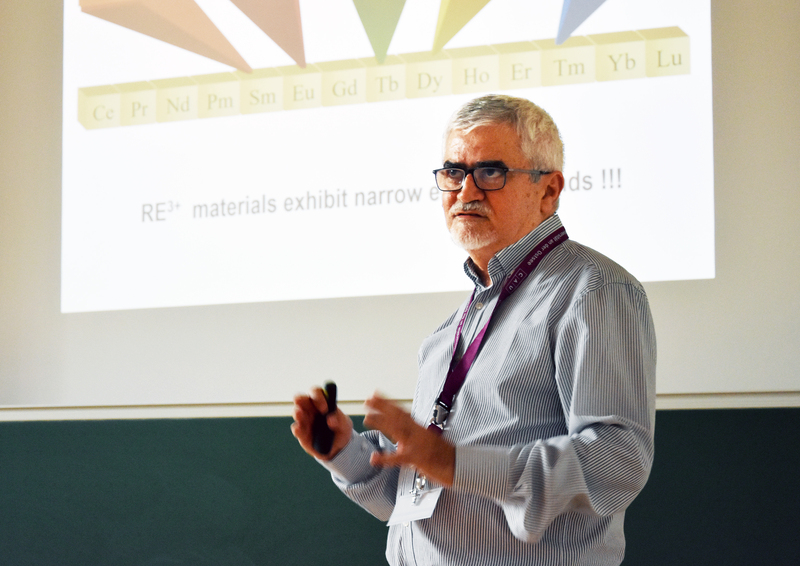 The development of new materials is the subject of the German-Brazilian workshop, which the engineer organised together with institute director Professor Wolfgang Bensch. "However, what happens on a chemical level during the synthesis of such materials has not yet been clarified for the majority of materials. If we learn more about the fundamental processes and mechanisms, we could for example manufacture more efficient batteries and storage media in future," said Bensch. If scientists better understand the structural development of materials at the atomic level, they could specifically modify the properties of materials in future. 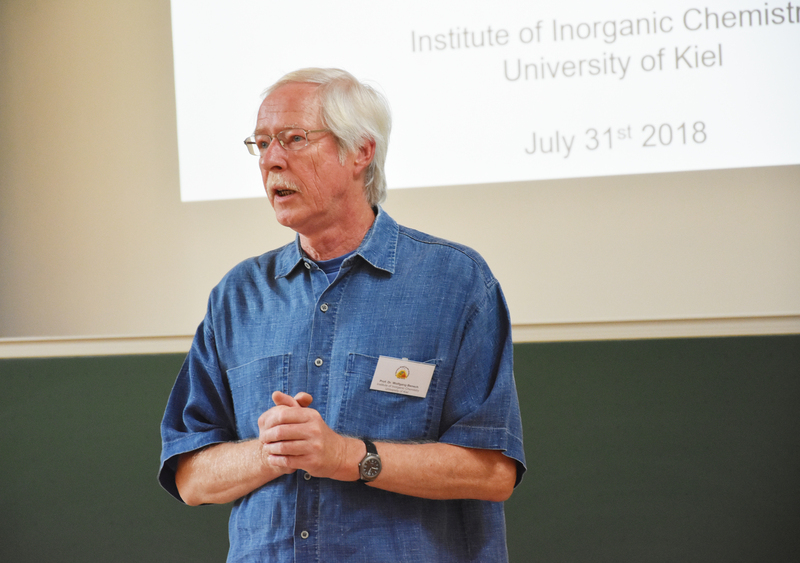 The three-day workshop in Kiel is dedicated to the mechanisms of such chemical reactions, from the perspective of fundamental research. The special feature of the event is the combination of specialist expertise from Brazil and Germany: while the scientists from the Brazilian state of São Paulo can contribute their expertise in the development of new functional materials, the researchers from Germany have many years of experience in the "in-situ" analysis of the formation of such materials. These investigations occur while a chemical reaction is taking place, and allow the individual steps up to the final product to be monitored "live", and thereby to decipher the mechanisms. This is possible, for example, by use of the intense X-rays at the Deutsches Elektronen-Synchrotron (DESY). "We are delighted to welcome colleagues from Brazil and all over Germany here in Kiel. With this workshop, we want to lay the foundation for intensive bilateral cooperation, in which the different areas of scientific expertise will certainly complement each other very effectively,” said Bensch to welcome the participants. After the opening lecture by Professor Hermi Felinto de Brito from the University of São Paulo, an expert in the development of luminescent materials for LEDs and energy-saving lights, there will be 26 more specialist presentations and a poster session. From Kiel University, Professor Wolfgang Bensch will present his research on new materials for batteries, Professor Norbert Stock new porous materials, and Dr Huayna Terraschke a new method for in-situ characterisation of chemical reactions. The third day of the workshop will focus on the promotion of early career researchers: young scientists from Germany and Brazil will present their projects, and thereby get the opportunity to discuss their research with leading experts on an international level. "In order to sustainably strengthen this international cooperation, we want to integrate young scientists at an early stage," emphasised Terraschke. In conclusion, the participants will visit DESY in Hamburg, to see some of the previously-described methods of analysis in action on site. The close cooperation with one of the world's leading accelerator centres is a key success factor for Kiel’s long-term experience in the study of chemical reactions in real time. The conference is funded by the German Research Foundation (DFG) and the São Paulo Research Foundation (FAPESP). Caption: Professor Wolfgang Bentsch welcomed the 40 participants from Brazil and all over Germany. Caption: Professor Hermi Felinto de Brito from the University of São Paulo opened the session with a presentation on the development of luminescent materials for LEDs and energy-saving lights. 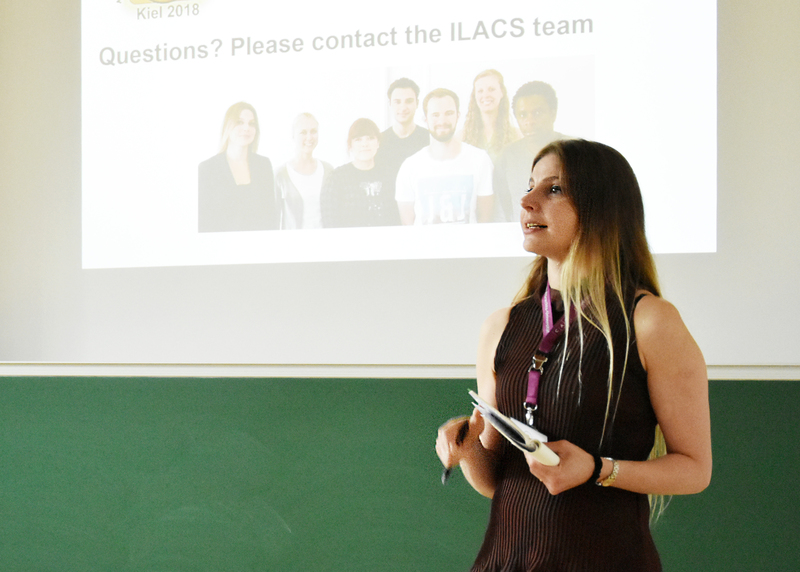 Caption: Dr. Huayna Terraschke, co-organiser of the workshop, presents her new method for in-situ characterisation of chemical reactions. Caption: The workshop in Kiel lays the foundation for a long-term international cooperation to develop new nanomaterials.